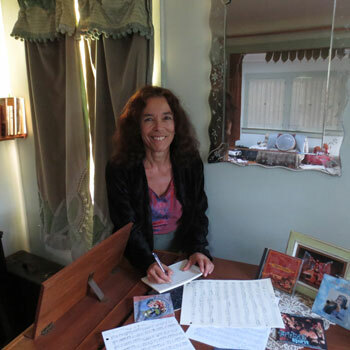 Helm has worked with many fine musicians and dancers over the group's multi-decade existence. It's co-founders are Ling Shien and Mark Bell. You'll find brief bio's of them below. Mark started playing Middle Eastern percussion in 1972 and got his first gig that same year playing for Bal Anat. He performed for years in both Arabic and Persian nightclubs in the San Francisco and Los Angeles areas, as well as numerous California Renaissance Faires. He worked fulltime in nightclubs including the Baghdad, the Casbah, Apadana's, Cabaret Tehran and Delilah's. 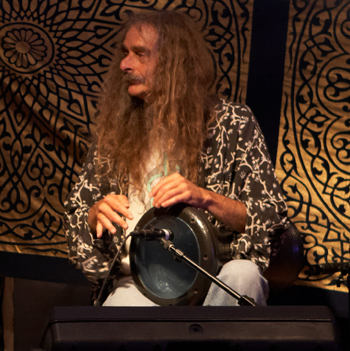 Mark has traveled and studied percussion extensively throughout the Arab world and Iran. He has also performed with Armenian and Greek groups as well as Balkan ensembles. He won a Grammy in 2005 on the compilation album Beautiful Dreamer - Songs of Stephen Foster. Mark plays darbuka, toumbak, davul, cajon, and tambourine (riqq) and frame drums.